Darren Till doesn’t plan on being goaded by Ben Askren’s trash talking. 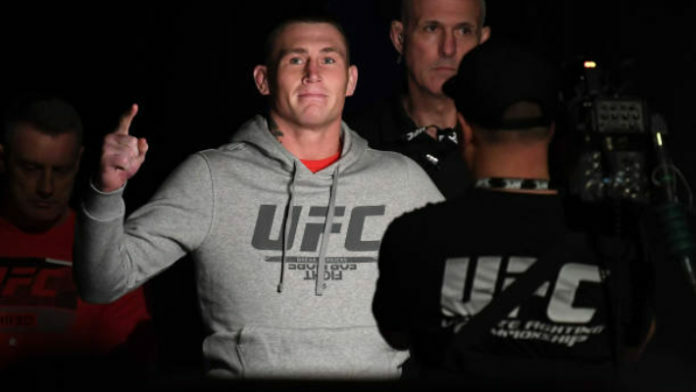 Till is set to compete in the main event of UFC London tomorrow (March 16). The welterweight bout against Jorge Masvidal will take place inside the O2 Arena in London, England. In the lead-up to the fight, it has been Till and Askren doing the trash talking. Till even crashed Askren’s Q&A session. Stick with MMA News as we’ll be providing live coverage of UFC London tomorrow. Join us for live results from the prelims to the main event. We’ve got you covered with highlights and post-fight tidbits as well. If Darren Till gets past Jorge Masvidal, do you think he’ll get a bout with Ben Askren?